Fire officials don't know what caused the ride to malfunction and derail. 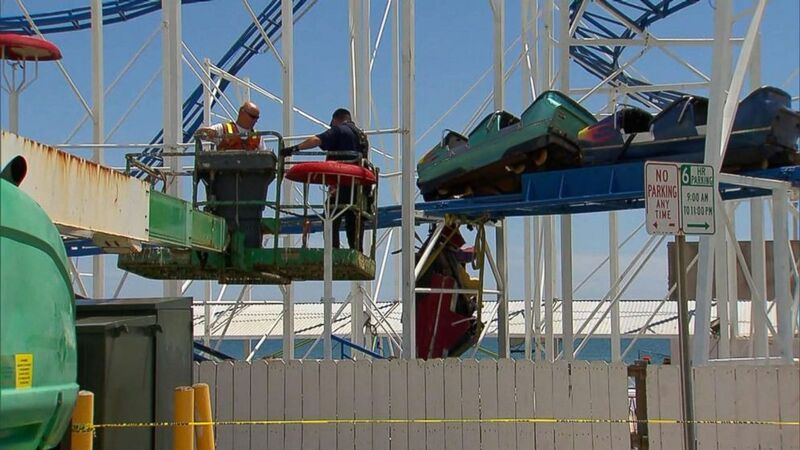 When rescue crews arrived at Daytona Beach's boardwalk, they found the front car of the sandblaster roller coaster "completely off the track and dangling front end towards the ground," the Daytona Beach Fire Department said. "A roller coaster completely broke off -- we need an ambulance, please," one 911 caller said. 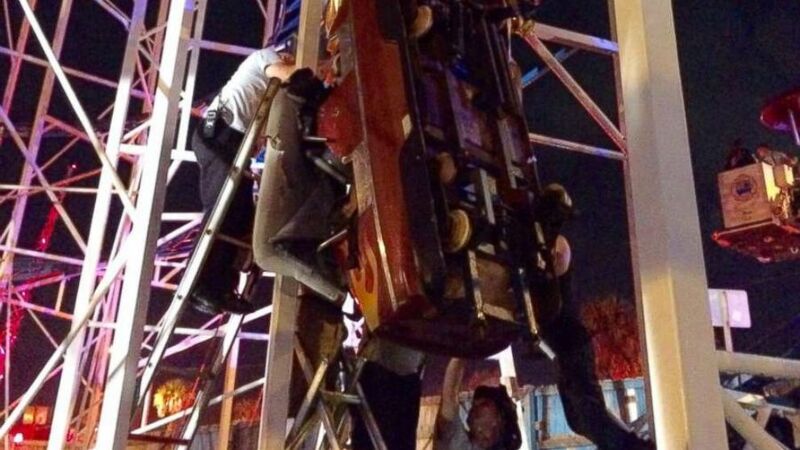 (Daytona Beach Fire Department) Firefighters in Daytona Beach, Florida, were called in to rescue 10 people trapped on a derailed roller coaster. "There’s a couple people on the ground and the girl’s hanging right now -- she says she can’t breathe and they can’t get her out," another caller said. The two riders who fell to the ground "were determined to be Trauma Alerts" and were taken to the hospital, the department said. The back car -- which held two other riders -- remained on the track, the fire department added. The riders were kept in place by seat belts, officials added. (ABC News) Officials inspect the sandblaster roller coaster at Daytona Beach's boardwalk. 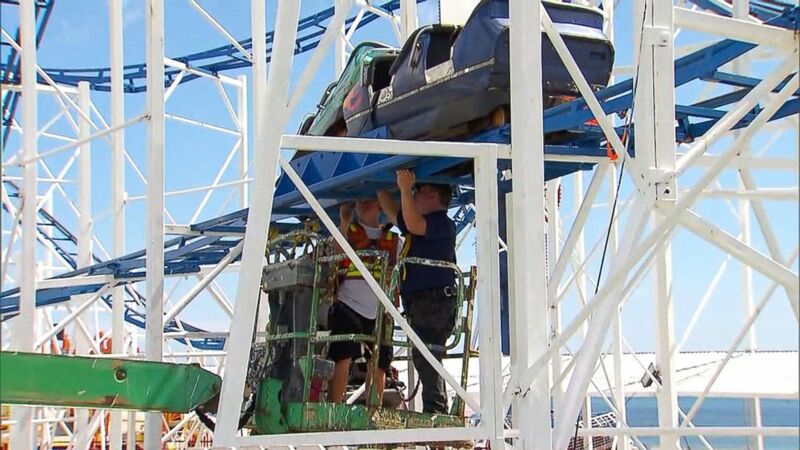 "Department inspectors conducted a thorough inspection of the ride, and it was found in compliance with state law," she said in a statement Friday. “We have launched an investigation to determine the cause of the accident, and anyone who should be held accountable will be held accountable," Meale said. The well-being and recovery of those injured "is of the utmost importance," she added.